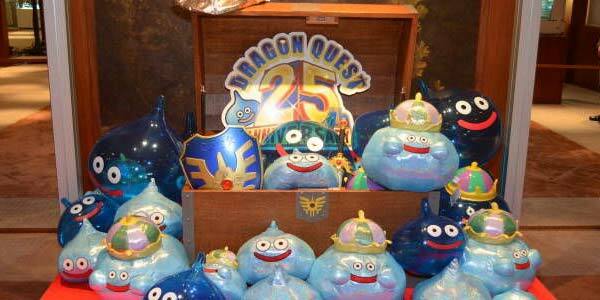 Square Enix just held a press conference dedicated to Dragon Quest, and it was announced there that Dragon Quest X, which we only knew was coming to the Wii, would also make an appearance on the Wii U, confirming previous speculation we had heard about such a port. The games will be functionally identical, but the Wii U version will feature significantly better graphics. The best part? Iwata himself came on stage to announce that you’ll be able to transfer your save data to the Wii U version of the game once that comes out, so you can start your Dragon Quest X adventure now and continue it on the Wii U afterwards (though it does sound like you’ll need to buy two copies of the game). Some 3DS connectivity was also hinted at, and it wouldn’t be surprising to see it happen, given that the 3DS is easily able to connect to both the Wii and the Wii U. All in all, it’s certainly a welcome announcement, though it does eerily remind me of how Nintendo announced at the last minute that the GameCube’s swansong, The Legend of Zelda: Twilight Princess, would also serve as one of the Wii’s definitive launch titles. This better be a launch title. And for the sake of the Wii U, there better not be too much of a gap between each consoles release. I’m surprised that we’re getting two different graphically versions of this game. I’m impressed with Square Enixs commitment on both Wii and Wii U. Buying two copys of the game will be a small price to pay to upgrade without penalty to saves. I can’t wait. An MMO on Wii U? Looks like Nintendo is off to a good start. I’m more concerened if wii save data can be used on wii u. I wanna be able to transfer everything over, I believe a smooth simple transition between the to consoles is key to a lot of fans who want excitement right out the box.